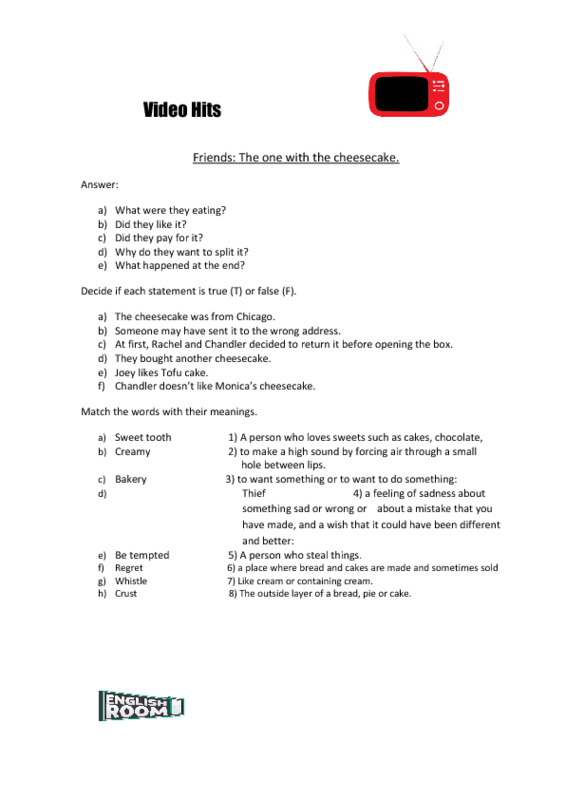 A nice worksheet to work with your students while watching their favourite TV serie- Friends. 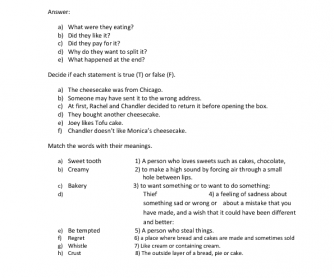 Play the video of the episode "The one with the cheesecake"and let them do the exercises. Remember to make them speak as much as possible asking them the questions. Check vocabulary by making them repeat after you.